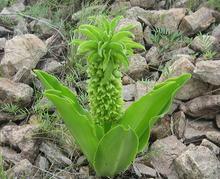 South Africa is rich in medicinal plants, which have been used by indigenous peoples for centuries. Certain plants are more prevalent in certain areas, so here we take a look at which medicinal plants are found in which provinces. 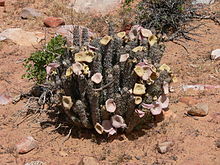 Hoodia gordonii is a spiny succulent that can grow up to a meter tall. It has a very off-putting smell of rotting meat, but its medicinal effects are more desirable. The stem and leaves of the plant are widely used as an appetite suppressant and as a mood enhancer. 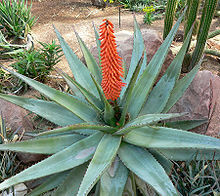 Growing up to 3 meters in height, the leaves of the bitter aloe have traditionally been used to treat stomach cramps and, when applied topically, to treat arthritis and eczema. Although bitter aloe is also found elsewhere in the country, it’s especially common in the Eastern Cape. The buchu plant (Agathosma betulina) has been used by the Khoi people of South Africa for centuries. It’s a natural diuretic and anti-inflammatory, and today is available as a topical gel, in capsules and in herbal water drinks. It is also often steeped in hot water to make a tea or steeped in brandy. 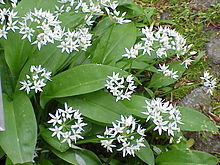 Wild garlic is a perennial, fast-growing, bulbous plant that grows in many provinces in South Africa, but is most prominent in KZN. 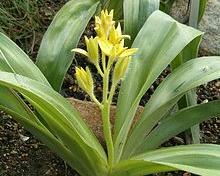 Its rhizomes and leaves are used to treat fever, rheumatism, asthma and constipation. Its bulbs can also be boiled in fresh water to create a decoction you can take orally to clear up colds and coughs. The strongly aromatic herb called kooigoed is also known as Everlasting in English and Imphepho in isiZulu. The full plant is used for medicinal purposes. Its twigs and leaves treat coughs, infections, menstrual pain and fevers. The African potato is a perennial, hardy and beautiful garden plant. The tuber is used primarily to treat benign prostate hypertrophy and urinary tract infections, while the leaves and bulbs are used to treat dizziness, heart weakness and even depression. 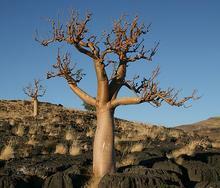 The name for this tall, aromatic tree comes from its strong smell, and no prizes for guessing what it smells like. It’s peppery, bitter stems and bark are used to treat the symptoms of many ailments. Dried and ground, they make a snuff that clears the sinuses. The dried, crushed bark powder can also be mixed with water to treat sores in the mouth. The bulb of the pineapple flower is traditionally used to treat fever, urinary tract infections, colic and even a mean hang over. It can also be used to treat back-ache and to assist in recovery from fractures. Moringa is also known as the drumstick tree because of its unusual shape, tapering from its thick trunk to its thinner top. The leaves, roots and immature pods are used to create a tincture for treating diarrhoea, as well as liver and spleen problems. 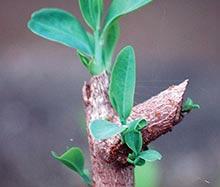 The leaves, when ground to a mulch, help wounds and insect bites to heal faster.